Well that escalated fast. In mere minutes after posting his final Better Out Than In piece, a group of opportunists attempted to steal the Banksy Bubble Font balloons residing in Queens off the Long Island Expressway. Newsflash: It didn't end well for these two guys. 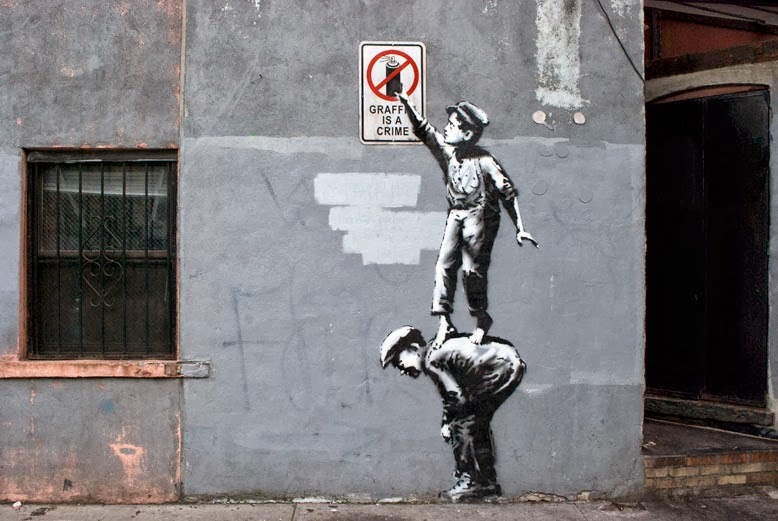 See what happens when two opportunists meet the ire of Banksy's biggest fans. 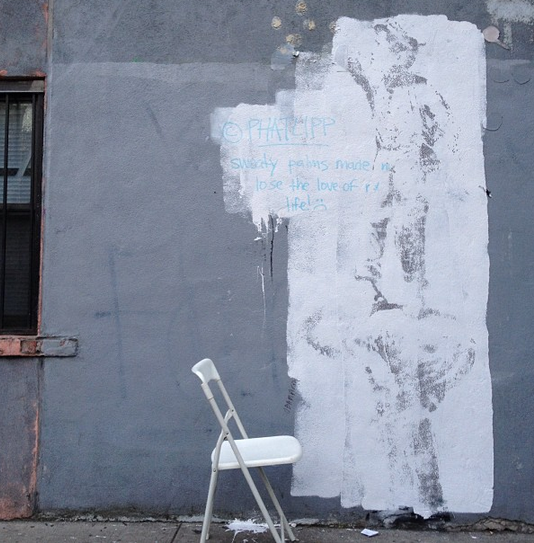 UPDATE: 1:30PM, The Banksy Bubble Balloon is now in police custody. Maybe they'll dust it for fingerprints. The perfect tribute in memory of all those who perished during the course of Breaking bad. Respect to Grantland for giving us a look back at the body count throughout the show. Last night's SNL season opener featured real Americans voicing their concerns about the Affordable Care Act; including Jesse Pinkman. Really puts Walter White's struggles in the pre-Obamacare world into perspective. 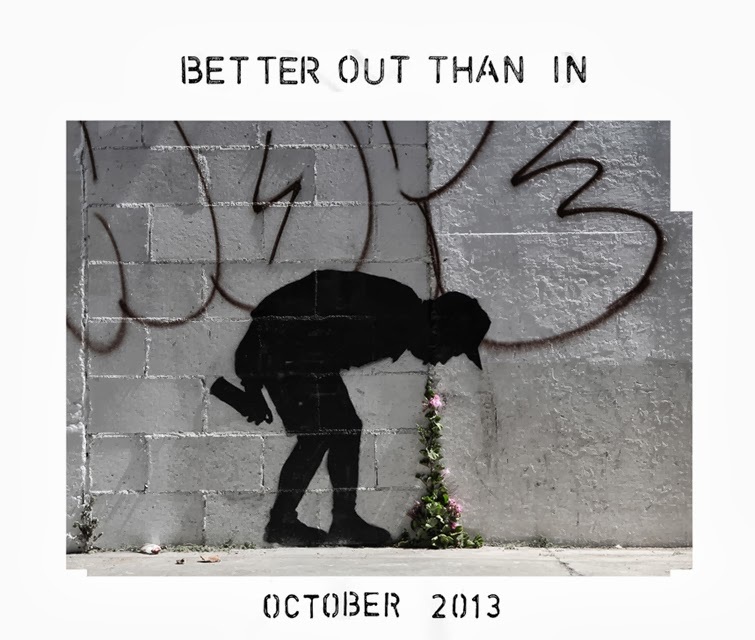 In true poetic fashion, Banksy updated his website the other day with just one image of a silhouetted street artist throwing up flowers sprouting out of a wall. Nothing else remains on his site but the promise of October 2013, the month Banksy will reappear. Lego Thriller by Annette Jung from Talking Animals on Vimeo. Crackader-Live from our GoogleReader, yo! Click to see what else we're linking to.